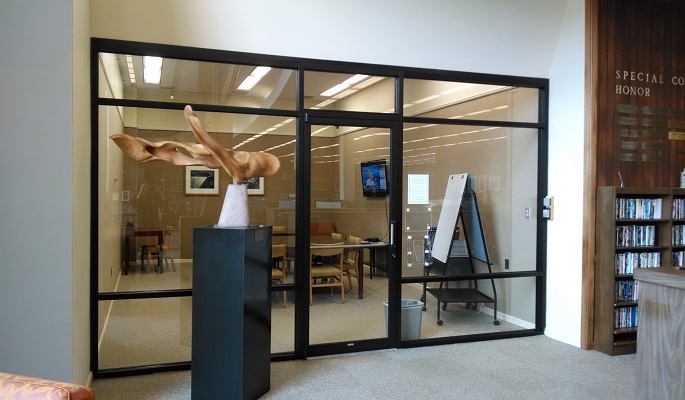 As a gateway to information, Grafton Library obtains, creates, and provides access to an array of resources, and serves as a dynamic learning center for the University community. The Library supports all instructional programs of the University and, as part of a community of learners, strives to empower users to locate, obtain, and effectively use information that will help them develop critical, creative, and reflective reasoning skills to form the foundation for lifelong learning. The Library staff maintains a commitment to quality service and to continuous improvement in meeting and anticipating the needs of its users. The library's current holdings offer an estimated 130,000 volume physical collection, an estimated 150,000 e-books, access to the full text of approximately 28,500 e-journals, and over 23,000 educational and documentary streaming videos. The library participates in VIVA (Virtual Library of Virginia Project), VICULA (Virginia Independent College and University Association), and OCLC. Grafton Library is named in honor of Martha S. Grafton, Professor Emerita of Sociology and Dean Emerita of Mary Baldwin University. Dean Grafton served the institution in various administrative capacities from 1930 to 1970. The library was built in 1967 and underwent a major renovation in 1999. For more information about computers and printing in Grafton Library, please see our Computers / Printing page. The Group Study Room on the Main Floor is a collaborative space for student groups. The room includes a wide-screen television that hooks up to your laptop. Check out a remote for the television at the Circulation Desk. Contact Christina Daniel (7311) to reserve the Group Study Room. Without reservations, the room is first come, first serve. Consult the calendar to the right of the door for availability. 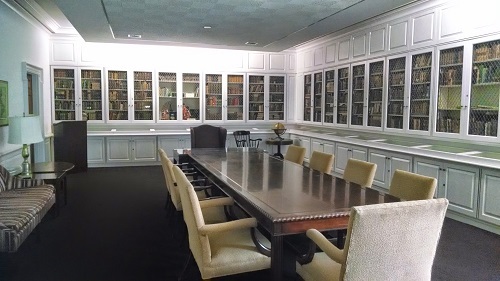 The Reigner Room, located on the Mezzanine Level, is houses volumes from Mary Julia Baldwin's original library. The room is used for meetings and special events. Inquire at the Circulation Desk about access to items in our Special Collections or visit our Archives page. To reserve the Reigner Room for a meeting, please request a reservation through the Meeting Spaces Reservation Form. 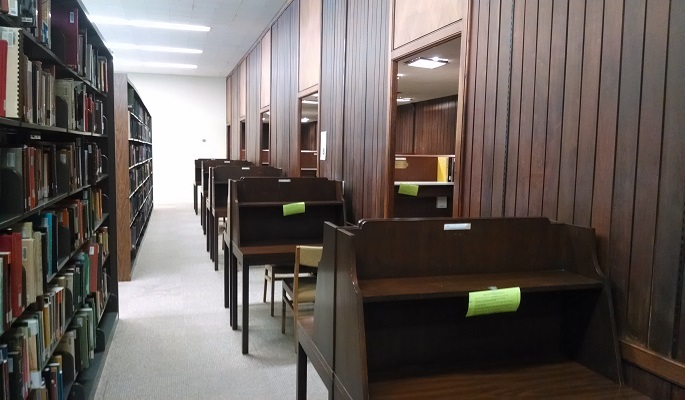 The east wall of the library has individual study carrels for student use. 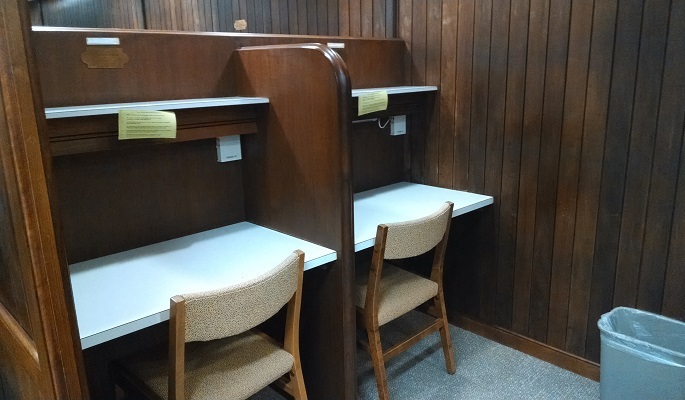 To reserve a carrel for a term, sign up at the Circulation Desk at the start of the Fall and Spring semesters. Come early, as availability disappears quickly! Restrooms are located on the first and mezzanine floors of the library.